God loves us, isn’t that amazing? Just stop and think about that for a minute. That would be like us loving worms. Still, that isn’t even an adequate example. What have we done to earn this love? Nothing! We couldn't earn it if our life depended on it. By the way, our life does depend on it! The same is true for our children; we love our children before they are born. They certainly haven't earned that love. Wives and husbands are no different. We should love our spouse no matter what. I know that can be a statement can be more difficult for some than others, but it’s true. If Jesus can forgive us, what right do we have to be mad at each other? What comes of it in the long run anyway? Your wife knowing you’re right and she’s wrong? Who are you trying to impress, yourself? Your spouse certainly isn't impressed. Last time I checked they don't give out trophies for the 1st place winner in the passive aggressive home contest. We are Christians or "little Christs" Jesus is our role model; we should strive to emulate him. That is setting the bar at a level that is impossible to reach, yet we should never give up. The Christian ought to walk as Jesus walked, and you say, Brother Paul, you've gone too far now. Who can walk like Jesus walked? Let me give you an illustration to try to explain to you what I mean. When I was a little boy, my father was a very big man, very smart man, and like all little boys, I wanted to be just like him. Now, up north, we raised cattle and raised quarter horses. We'd get big snows and my dad would come into my room at five in the morning. Even when I was a little boy and say, “Paul boy get up.” No rest for the wicked. And when he said, “get up”, you got up. We would walk out there in the snow, and the one thing I can always remember is that my father would take these big strides and leave these footprints in the snow. 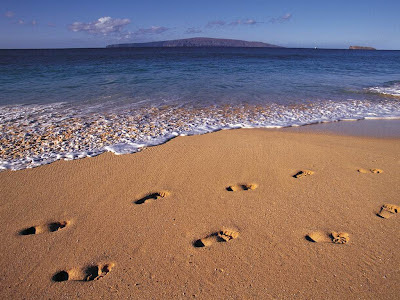 Now, I wanted to walk like my dad walked, and so I would try to stretch my legs out and put my foot in his footprint. Now, you can imagine, I was stretching out farther than I could ever go. You can imagine I looked ridiculous, and you can imagine I fell down, but you will also know by looking at that picture that the greatest desire in my heart was to walk like he walked. You could tell, looking at that little boy, he wanted to be like his dad even though sometimes he didn’t look anything like him. Let me ask you. What’s the greatest desire in your heart? Is your great desire to walk like He walked? To be like He was? Is that your great desire? 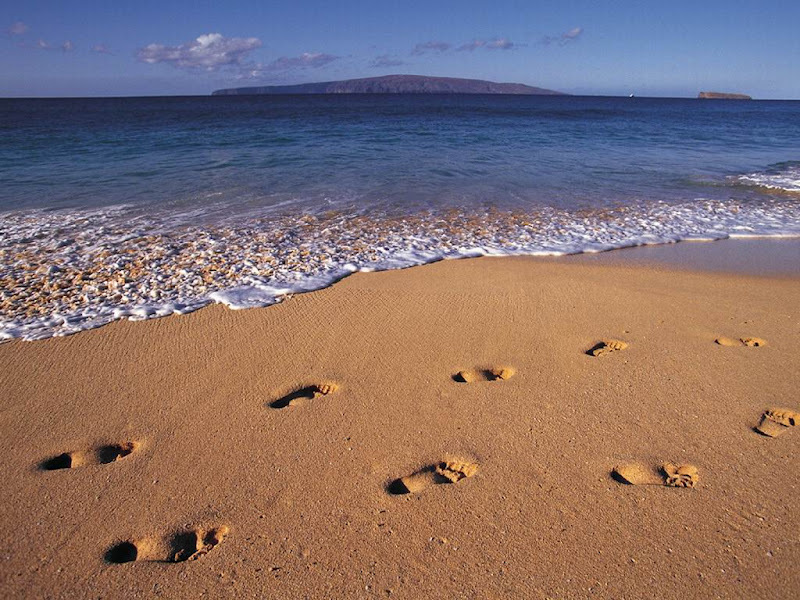 Are you seeking to put your foot in his footprints? Men, it starts with you! If you invest little in your wife’s, you shouldn't demand much from them! If a husband values and treats his wife like he should, she will live up to that value. This man in a tribe far off somewhere was looking for a wife. The custom in that country was to buy the daughter from their father with some cows or chickens. Well this man had this daughter and she wasn’t pretty. He thought, “I’m not even going to get a chicken for this daughter of mine; she’s not pretty at all!” So one day this guy comes up and says I want to marry your daughter. The dad says “You’re kidding right?” The man says “No, I want to marry your daughter.” The dad is thinking, “I wonder how much I’m going to have to pay this guy to marry my daughter.” So the dad says, “So what will you give for my daughter?” Well the highest price you could pay for a wife was eight cows, yet most wives went for between 4 and 6 cows. 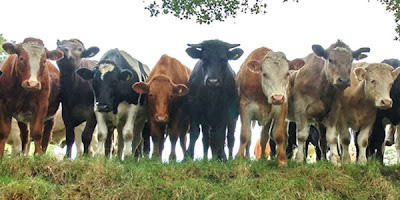 The young man says “I want to pay eight cows for your daughter.” The dad says, “WHAT? Have you seen my daughter?” The guy says, “Yes, I want to pay eight cows for her” and he did, he paid eight cows for her. It was the talk of the town! It was unheard of, an eight cow wife? Guess what, she came to be known throughout all the land as the eight cow wife. She became the most respected woman among all the tribes. Her husband valued her and she lived up to that value! I love the eight cow wife story! If only every couple valued one another that way. An older gentleman in our community passed away, so we went to visit his wife the next day. We walked in the door, hugs all around, and she looked at me and my husband and said, "treasure the other as if they were gold." I said, "I do!" at the same time my husband's response came from his mouth: He put his arm around me, smiled, and (after 33 years of marriage) said, "She is!" I felt PRICELESS!! I thank God for this man in my life! Thank you for sharing with us Virtuous Husband!